Kelley Haynes-Mendez received her Psy.D. degree in clinical psychology from the California School of Professional Psychology (Los Angeles) and is a licensed psychologist in the state of Texas. She has more than 10 years teaching experience, both on campus and online. She has taught a wide variety of coursework, but specializes in diversity and cross-cultural issues. She has also been a psychologist in private practice. Her practice specialty was psychotherapy treatment with individuals from diverse backgrounds. The specialized treatment focuses on helping individuals from diverse backgrounds understand and healthily incorporate the impact of socially constructed narratives into their daily lives. 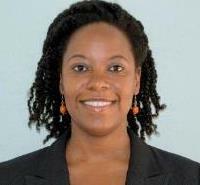 Dr. Haynes-Mendez is a member of the American Psychological Association. She is Committee Chair of the International Relations Committee for the Society for the Teaching of Psychology (APA, Division 2). In 2008, she completed a guest lectureship with Cornerstone College in Cape Town, South Africa and is currently completing a Diploma in Social Innovation with the UN Mandated University for Peace in Costa Rica. Dr. Haynes-Mendez is a member of the International Relations Committee for the Society for the Teaching of Psychology (APA, Division 2). She is also the Society's liaison for APA's Committee on International Relations in Psychology. Dr. Haynes-Mendez also serves on the Faculty Development and Promotion Committee for The Chicago School Online.